Midweek Checkup: "Something, something, Closing A Goddamn Door" edition. The Easter Long Weekend means that it’s currently mid-week for most of us. How’s everyone doing? As for my week so far, the whole family fleet is now on summer tires, I frankenstein’d up a decent suction mount, and I dropped by a movie set to be an extra because a friend of mine told me that there would be a mosh pit scene (it was a pretty weak pit). 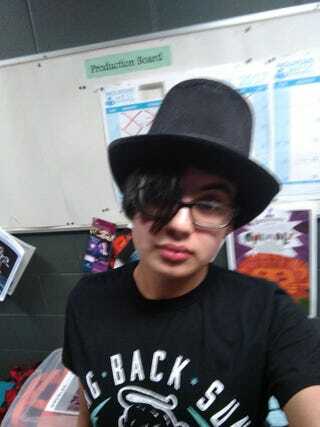 Also, we finally found a top hat in the props room, so that explains the photo.